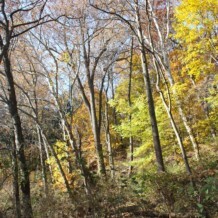 Home » Nature and Wildlife » Glen Providence Park Tree List! Glen Providence Park Tree List! You can zoom in on the map and click on any individual tree for details, including its eco-benefits. You can also search by a tree’s species on PhillyTreeMap using the “Filter by Species” search box, to see where that tree species is distributed. Read more about our tree mapping project… it’s an Arboretum, after all! Introducing… our Glen Providence Park Tree List! Update on 1/28/2014: We are now maintaining this list on our Tree List page. Started mapping the park’s Sledding Hill today- we added 34 trees and 12 species!